It has covered terraces all round it as well as two garage/car ports and delightful views of . . . This is a beautifully set out and renovated house having 2 separate entrances on different . . . This unique pair of country houses on the edge of a hamlet close to Aigues Vives is an . . . This west-facing house is really a blank canvas. As it only has windows on one side, it lends . 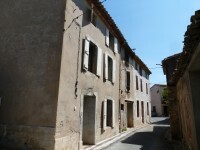 . .
Minervois: two stone-built houses and their outbuildings, with potential for stupendous spaces, split levels and views! Contained within four walls, with scope for internal courtyards/terraces and living areas at . . . This site of just under 2000m² has planning permission for a three-bedroomed single-storey . . . 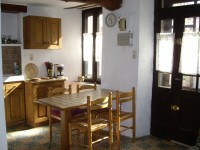 Situated in a quiet hamlet in the Minervois, surrounded by vineyards and garrigue, this . . . 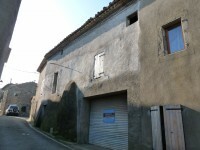 This old stone barn has its CU (Certificat d'Urbanisme) for a restoration project and . . .